We both agreed to seek a cure, he by reading the Claire Tomalin biography, and I by trying one last time to force my way through a Dickens novel. 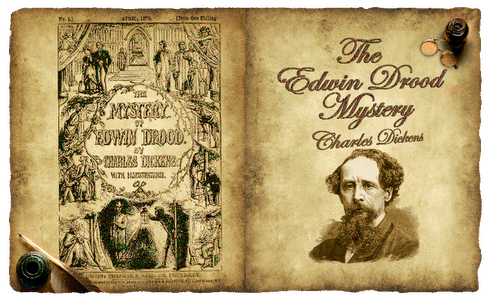 I thought I would try The Mystery of Edwin Drood, since I’d half-watched it at Christmas. My Kindle informs me I am 93% of the way through. This is a huge achievement for me – don’t think I haven’t tried and tried before to get through a whole book . And, even more unexpectedly, I’ve enjoyed it. But does it count? It’s a distinctly odd book, and, to my mind, not very Dickensy. The cast of characters is quite small, the plot is tight, there doesn’t seem to be the usual parade of grotesques to contend with, it’s a crime novel and, of course, it isn’t finished. And I’m reading it on a Kindle. Has that made a difference?? I don’t know if I’m cured. Somehow I doubt it. The way to tell is undoubtedly to try another Dickens novel, but which one? Please someone, tell me what to do next! Not so sure – there’s an intensely wet heroine in Bleak House that might very likely make YOU spontaneously combust. Lots of good stuff too though. But LOOOONG. I really like reading Dickens on my Kindle because it slows me down – my eyes aren’t always flicking across to the opposite page, might be it.